This is my third painting in the Infinity series. 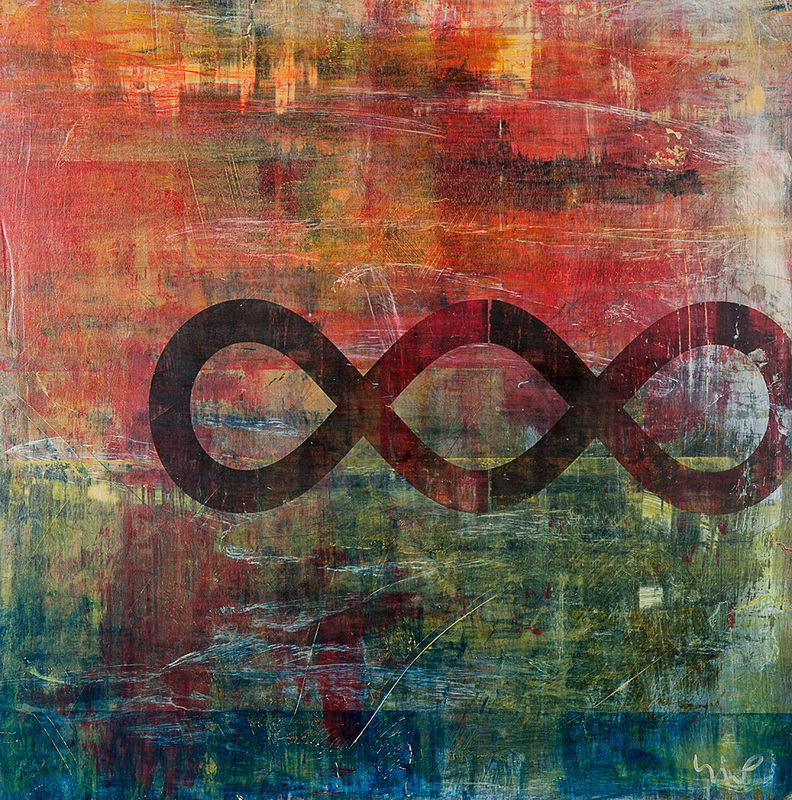 As I was cutting out the infinity symbol, the slight misplacement of the overlay became very intriguing to me. And as one would have it, I decided to make a double twist. It was as if the painting was giving me hints on what to do to make it whole.